I remember months and months (possibly years) ago, I noticed a couple of friends using Pinterest. I casually clicked through, saw a picture, and had no idea what was going on. Like any truly curious soul, I completely ignored it. I had enough going on just trying to keep up with random Facebook changes. A couple of weeks ago, Pinterest shows up again, this time with friends. Lots of friends. I’d requested an invitation months back and received a thoughtful and sincere automated e-mail saying that one day I’d be worthy, but not anytime soon. Since I have no pride, I begged an invite from a friend who was already registered. I logged in, saw more pictures, and still had no idea what was going on. Thankfully Joe Waters (http://selfishgiving.com/) decided to host a Pinterest-based contest: create a board called “Causes I Love Contest”, add whatever you like, however you like. He would judge them and the winners would get valuable cash, prizes, and puppies. I’m kidding about the puppies. Maybe. “I can do this!” I thought to myself. I’ve always been an optimist. I’ll spare you the torment of rising tension and suspense and tell you that I didn’t win (I didn’t even place. Not that I’m bitter. ), but I DID learn a lot. The most important lesson appears to be if you want me to learn something quickly, your best bet is a contest. 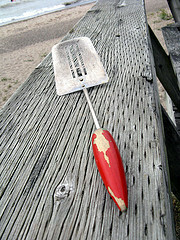 I also learned that I have the self-awareness of a spatula, since until now I’ve always considered myself to be very anti-competition. Anyway, off I went, pinning my little heart out. I pinned recipes and craft ideas and hair styles and beauty tips and books and music and geeky stuff. It’s addicting, I’m not going to lie. I’m sure there are a zillion posts about the mechanics of how to do it without being socially awkward, but it’s always nice to have someone to laugh at. I mean with. Look, sometimes you just have to jump in and give it a try. A friend of mine who really doesn’t care for Facebook took to Pinterest like a duck to water. Only she calls it Pinster, and now I’ll bet you will, too. I’ve tried several recipes with mixed success. The smoothie was the best, but it blew up my blender, so that was kind of a good news, bad news scenario. The bread wasn’t bad. The “no-heat-curl” tutorial ended in complete disaster, but did make me laugh until I cried. And while my hair wasn’t going in the intended direction (nor was it technically “curly”), I can’t deny that it achieved the kind of volume I’d only ever dreamed of previously. I’d love to draw some deep, insightful conclusions from this extensive data set, but let’s be serious: of far greater concern is that fact that one person pinned this wildly erratic array of images. 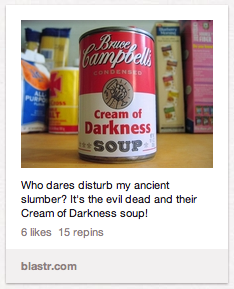 Ah, Pinterest! So if you want to experience the awesomeness of my boards (or more accurately, witness firsthand the evidence of a deeply confused mind), you can find me at http://pinterest.com/mickeygomez/. I think the find of the week for me, technologically speaking, is Slide Share. It is a site that allows you to upload your power point presentations and share them with the world. It is also a great place to go to view slide presentations (you can search by topic, presenter, and other search criteria). It includes widgets to add presentations to your blog (stay tuned!) and is now part of LinkedIn, which just added several new applications. As a member of Plaxo, Collective X and LinkedIn, I have to say that LinkedIn seems to be the most relevant to me, and even more so since this update. I’ve connected with far more people on LinkedIn than on the other platforms. I’m enjoying the groups feature and look forward to trying out some of the new applications soon.